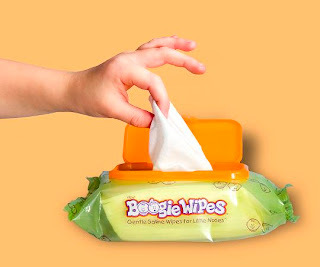 I love the name of these wipes! Haha. We've tried fresh scent, which I liked. These are AWESOME! I think the minty menthol scent is pretty cool! Kinda serves a dual purpose for runny stuffy noses! I always buy the fresh scent! I would like grape scent. I would like fresh scent. I love the unscented wipes but they are not sold in every store. We usually buy the fresh scent. I like the grape scent! Good for the grandkids....grape or fresh! This would be GREAT to keep in your glovebox! I would love to have Grape!! Fresh Scent is my favorite scent. I would go with the fresh scent! I'd love to try either the Fresh Scent or the Minty Menthol! We love the Grape scent! Grape - because isn't that weird that a wipe for your nose would smell? How cool. I really would like to try fresh scent. I would love the grape!! We love these! Our favorite is grape, sounds weird but kids love it! We use fresh scent now.. but would love to try the grape ones.. sounds very interesting! The Fresh Scent sounds... Fresh! Grape!! I love the grape!! My favorite scent is Fresh Scent. Thanks for the giveaway. My favorite scent is Fresh Scent! I'd love to try grape. I also think the grape scent sounds fun for my daughter. suebunting1977@gmail.com my favorite scent is Fresh Scent.